Where can I see the board activity? 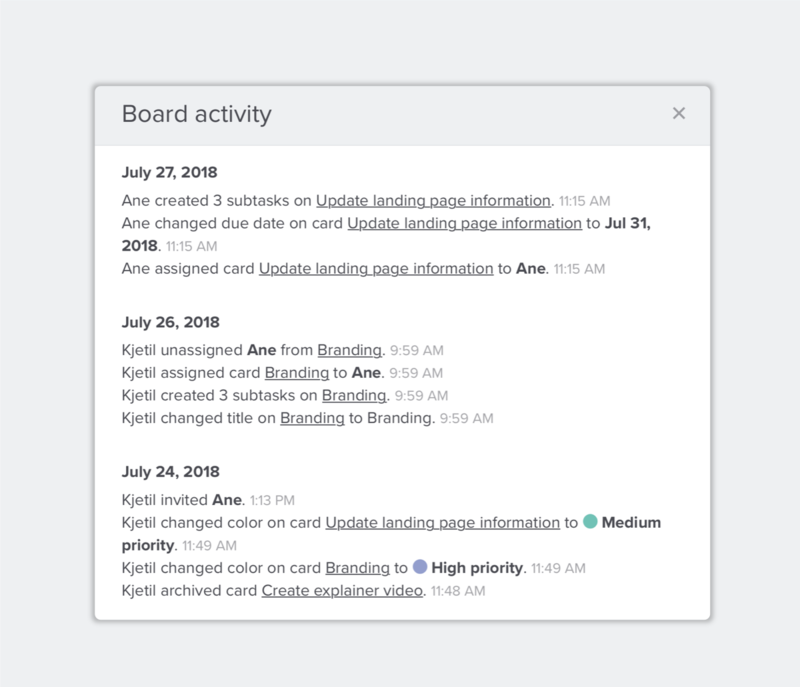 The activity feed on Boards allow you to see your Team´s activity history within that Board. 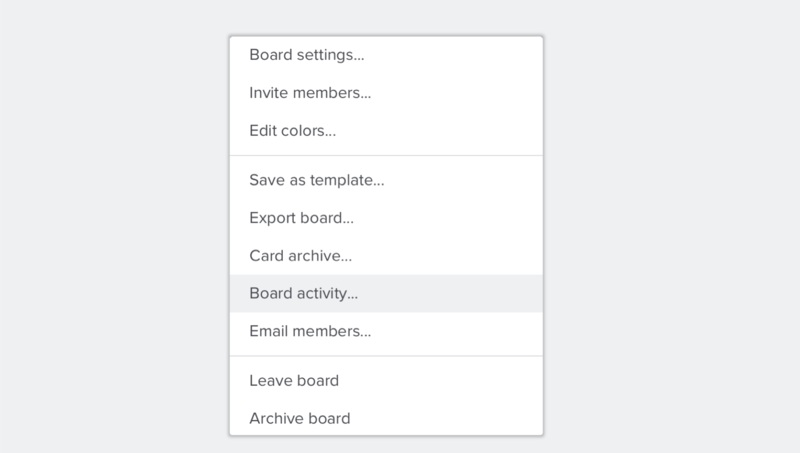 To view the activity feed, click on the arrow next to the Board name and select "Board activity".